JOIN THE CAUSE: Use your voice and add your 2 cents! May 3, 2019 - Join us in Washington DC for an RLS Day on the Hill! View the slides or watch the webinar to hear about what's planned for our RLS Day on the Hill! In November the RLSF team traveled back to Washington for a third advocacy visit to educate officials about the importance of low daily dose opioids in managing refractory RLS cases, and the need for more funding for research that will help us identify better treatments and find a cure for RLS. The Foundation team included executive director, Karla Dzienkowski, Board of Directors member Sandy Katanick, Scientific and Medical Advisory Board members Dr. John Winkelman and Dr. Jeffrey Durmer, and RLSF staff member Kris Schanilec. Read more about this visit. In December 2017, the RLS Foundation kicked off advocacy efforts to educate the public, regulatory authorities and elected officials in Washington about the appropriate use of opioid therapy for refractory cases of RLS. The Foundation sponsored an educational webinar led by professionals from Health and Medicine Counsel of Washington (HMCW), a government relations organization that works with nonprofit organizations and companies in the healthcare industry. The RLS Foundation has retained HMCW to guide and focus our advocacy efforts on behalf of the RLS community. In February 2018, members of the Foundation staff and leadership team traveled to Washington, DC, and met with staff from the National Institutes of Health, the Food and Drug Administration, and 16 legislators' offices, read about those meetings. In March 2018, we completed a letter writing campaign to include "sleep disorders" in the 2019 Department of Defense research budget. Read about the campaign. We submitted nearly 100 letters from the RLS community - thank you! In April 2018 HMCW presented a webinar with an update on their efforts, information on how to reach out in your community during the summer, a packet of leave behind documents that you can bring to your legislators. Another excellent article that is useful in educating policymakers was published in the Mayo Clinic Proceedings, see Dr. Michael Silber's explanation of the importance of this document. See webinar slides. In June, the RLS Foundation traveled to Washington to advocate for RLS treatments and research. The Foundation team met with seven members of Congress, gave a presentation to the NIH Sleep Disorders Research Advisory Board, and held a lively discussion with scientists at the National Institute on Drug Abuse about new ideas for RLS research. Read about this advocacy trip to Washington, DC. Members of the Scientific and Medical Advisory Board of the Restless Legs Syndrome (RLS) Foundation collaborated on this important article, "The Appropriate Use of Opioids in the Treatment of Refractory Restless Legs Syndrome" published in the January issue of Mayo Clinic Proceedings to provide a clinical approach for appropriate use of opioids to treat refractory RLS. At a time of heightened national concern about opioid abuse, this new guidance is available to help health care providers safely prescribe opioids to treat restless legs syndrome (RLS). With the help of HMCW, we expect to increase awareness among policy makers about the serious nature of RLS, the need for individuals with RLS to have access to opioids when they are the best treatment option, and the need for more funding for research that will help us identify better treatments and find a cure for RLS. Ready to take action now? 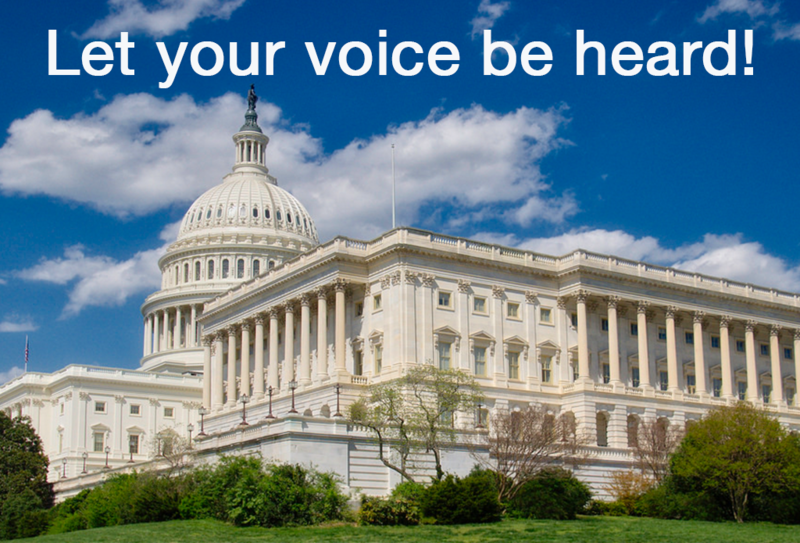 Submit your opioid experience for use in future letters to legislators, or email Peter Herzog (herzog@hmcw.org) at the Health and Medicine Counsel of Washington. We will continue to update this page with materials and ways you can participate to keep opioids as a viable option for managing refractory RLS.